Hear why Albania ranks high for seasoned travelers on the list of places to discover as it emerges from decades of isolation. Get tips for enjoying the arts and comforts of Vienna where every day is like a Sunday afternoon. Find out what the freedom to relocate within the European Union feels like. Rick also recounts his first unescorted trip to Europe out of high school in the summer of '73. There are three World Heritage sites in Albania that feature Roman, Greek, Byzantine and Ottoman architecture and history. Lonely Planet includes information for visiting the National Museum in Tirana in its Albania information pages. There are more than 700,000 bunkers in Albania. Rick's online information about Vienna includes a free audio walking guide and map to his recommended sites in the city. Relaxing at one of the coffee houses of Vienna is a tradition that is recognized as part of the city's cultural heritage. Listings and tickets for concerts in Vienna are found online at Vienna Ticket Office and Vienna Opera Tickets. "Erasmus+" is a youth education program sponsored by the European Union. 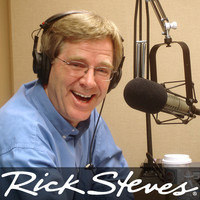 Gene Openshaw co-authors the "Rick Steves' Europe 101" art and history guidebook. Rick relives his early travels to Europe in his book, "Postcards from Europe."